The world's first powered bionic prosthesis for above-knee amputees, the POWER KNEE offers unprecedented levels of functionality and performance. This bionic knee replaces true muscle activity to bend and straighten the knee as required. 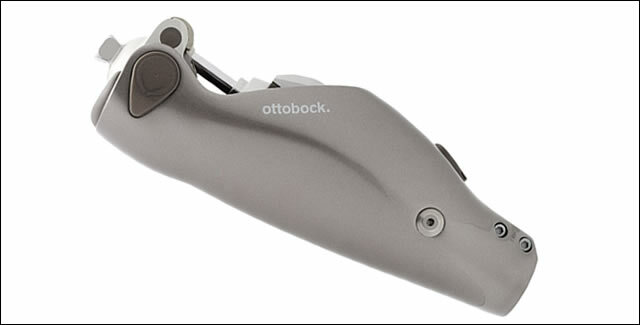 Working as an integrated extension of its user, it synchronizes motion with that of the sound leg. When walking on level ground, the user is gently propelled forward, allowing greater distances to be covered without becoming as tired as before. On stairs and inclines the knee actively lifts the user up the next step, producing a secure and natural ascent, foot over foot. The newly redesigned RHEO 3 KNEE® is an advanced prosthetic device that liberates its users to focus on their chosen activity, instead of having to think about how they are walking. 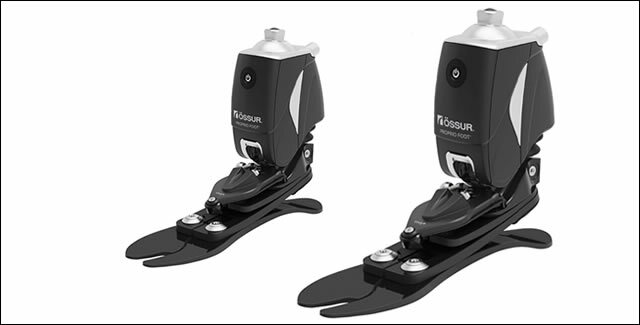 New developments in Össur's proven bionic technology mean that the RHEO KNEE can recognize and respond even better to the most subtle changes in walking speed and terrain. Using sophisticated artificial intelligence, it continuously learns and adapts to an amputee's walking style and environment. As a result, it restores people's ability to walk naturally, comfortably and confidently at any speed. The new Plié™ MPC Knee is without doubt one of the quickest, most responsive microprocessor controlled knee available. Given this new level of nimbleness, no wonder it produces such a smooth, secure and natural gait - at any speed, angle or incline. 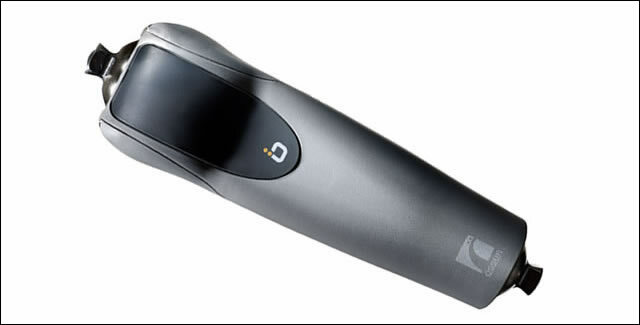 Simply stated, the device measures and reacts to gait dynamics in 1/10 the time it takes to blink your eye. That's why it provides incredibly precise response to gait dynamics as they occur rather than a step behind. The net result is an easier, more natural gait, so amputees can stop concentrating on stability and regain the freedom to enjoy the world around them. The Plié MPC Knee engenders greater confidence in amputees under a wider variety of conditions, including variable-speed walking, ascending or descending stairs and navigating ramps. A key benefit of the new C-Leg is increased peace of mind for users. The optimized stumble recovery provides even greater resistance in case a user trips or stumbles so, for example, a toy left on the living room floor is a much-reduced threat for falling. Improved swing phase control means easier swing initiation, resulting in more natural response to a change in speed, especially handy on busy streets or crowded venues. In addition, an extra activity mode has been added, as well as increased moisture protection with attached silicone caps covering the charging ports. And, thanks to an increase in the weight limit to 300 lbs., the benefits of C-Leg technology are now available to even more users. The PROPRIO FOOT is an adaptive prosthetic device for low to moderately active below-knee amputees that mimics natural foot motion. 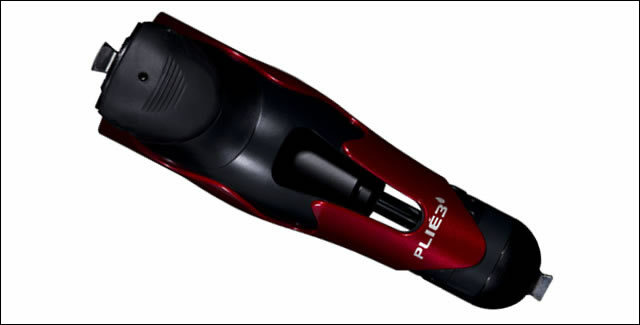 Motor-powered ankle motion increases ground clearance and reduces the risk of tripping and falling. This allows users to traverse different kinds of terrain in a natural and secure way. It enhances safety and gait quality. Enables users to focus on their surroundings, instead of the walking terrain, offering a high degree of ground compliance, on all kinds of surfaces. Reduces strain on knees, hips and back. Enhances stability, efficiency and comfort on inclines, declines and stairs. Maintains symmetry and alignment while changing shoes. 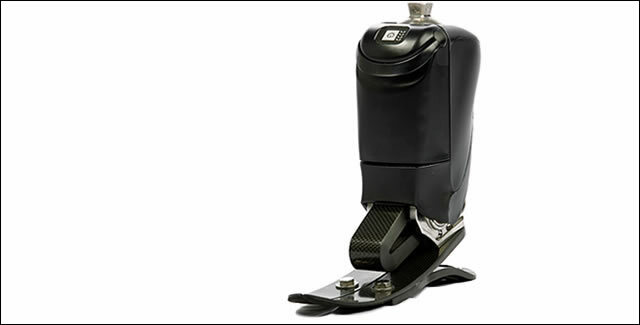 The BiOM ankle is the only prosthesis with powered propulsion for enhanced mobility. By emulating the function of your lost muscles and tendons, the BiOM energizes every step, so that you have more stamina to walk farther and faster – even up ramps, hills and stairs.The emPOWER Ankle is still the only prosthesis with powered propulsion that emulates lost muscles and mimics normal ankle movement for a natural stride. The benefits of BionX's technology have been shown in clinical studies and published in peer-reviewed scientific journals. 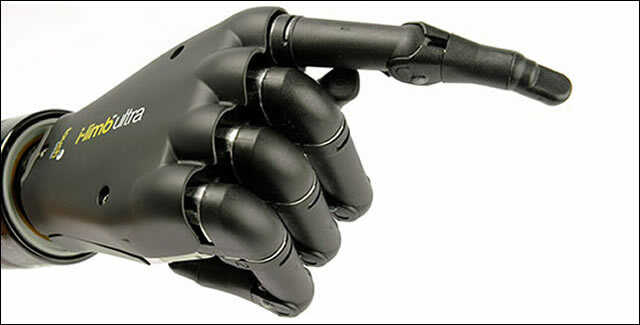 The i-LIMB Hand is controlled by a unique, highly intuitive control system that uses a traditional two-input myoelectric (muscle signal) to open and close the hand's life-like fingers. 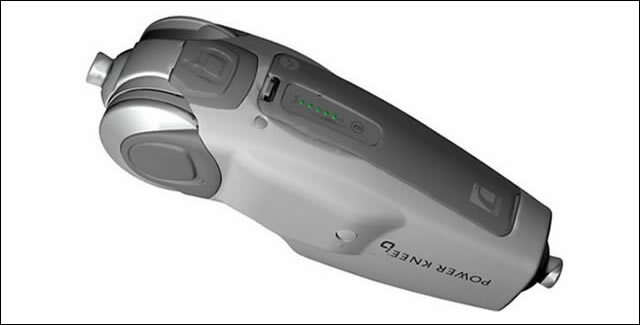 Myoelectric controls utilize the electrical signal generated by the muscles in the remaining portion of the patient's limb. This signal is picked up by electrodes that sit on the surface of the skin. Existing users of basic myoelectric prosthetic hands are able to quickly adapt to the system and can master the device's new functionality within minutes. For new patients, the i-LIMB Hand offers a prosthetic solution that has never before been available.